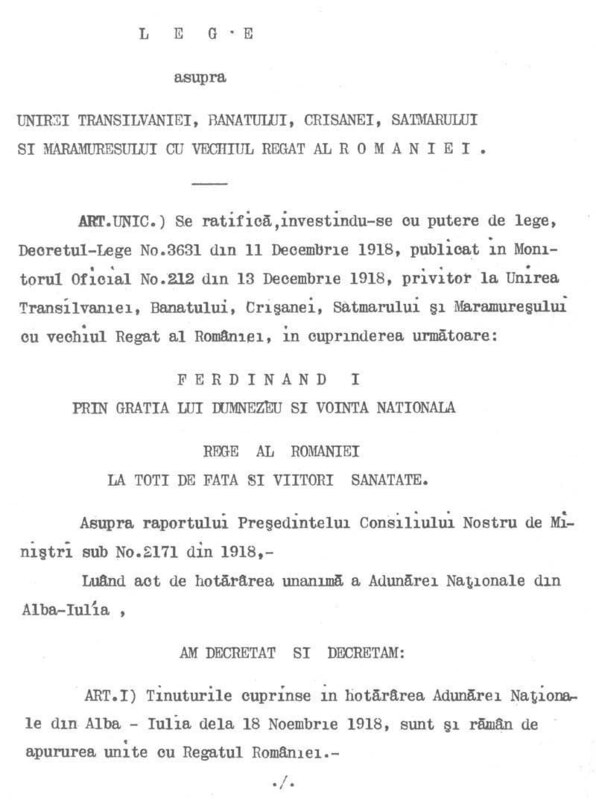 THE UNION OF TRANSYLVANIA, THE BANAT, CRISANA, THE SATMAR AND MARAMURES WITH THE OLD KINGDOM OF ROMANIA. 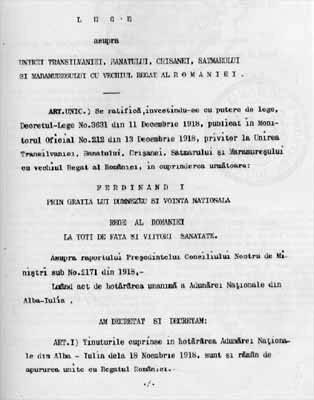 Item 1)	The lands named in the resolution of the Alba-Iulia National Assembly of the 18th of November 1918 are and remain forever united with the Kingdom of Romania. Item 2) The President of Our Council of Ministers is commissioned with the duty to carry out the resolutions of the present Decree-Law. Bucharest, 11th of December 1918. 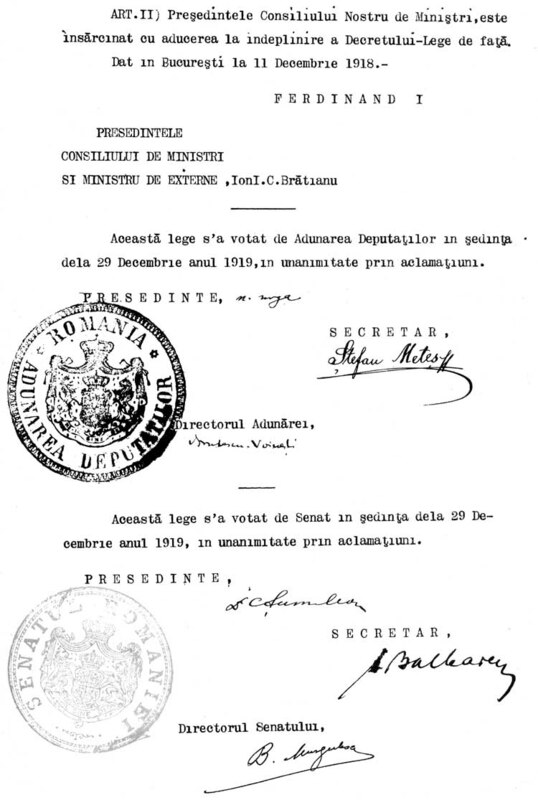 This bill passed through the Chamber of Deputies on the 29th of December 1919, unanimously and enthusiastically. 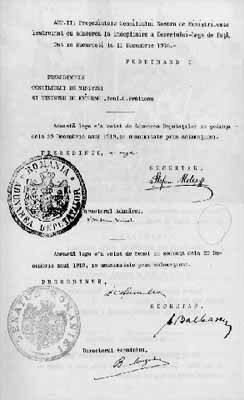 This bill passed through the Senate on the 29th of December 1919, unanimously and enthusiastically.